The latest book by Kim Golding, Using Stories to Build Bridges with Traumatized Children, is due out in July of this year. 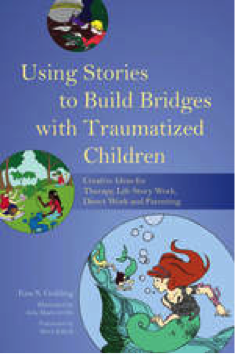 In this book Kim explores how you can use stories to build connections with children and support their recovery from trauma and stress. She illustrates this with 21 stories adapted from her own clinical work with children and families. We’ll let you know when it’s published, closer to the time. A list of Kim’s currently published work can be found in the DDP Resource Library.